The 2015 Super Bowl set a U.S. television record with 114.4 million viewers, igniting a social media wildfire of user-generated posts. According to NBC, there were over 28 million tweets and 65 million Facebook users engaging in posts, likes, and comments. 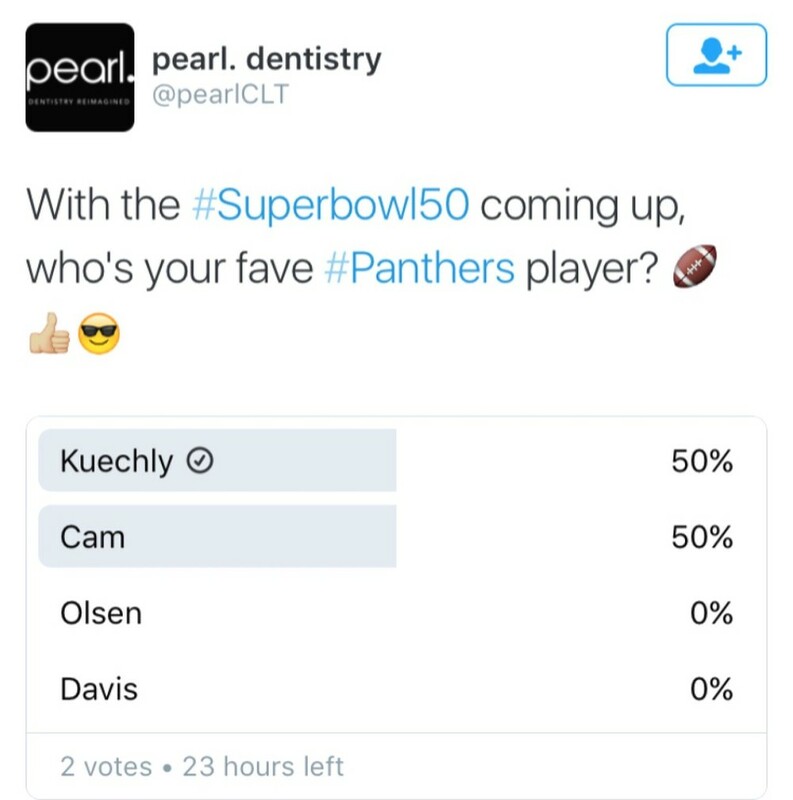 You can imagine every business owner is licking their chops to take advantage of the colossal numbers of last year's event, and assuming Super Bowl 50, headlined by our very own Carolina Panthers, will reach more viewers and engagement through social media, advertising during pivotal moments of the event can stir business immensely. 1. Target popular trends on Facebook and Twitter Search bars are accessible through both platforms to find the most used hashtags, keywords, and player names relevant to the game. The official Super Bowl hashtag is #SB50, but be creative when incorporating these texts in your posts to reach the most broad audience. Also, creating Facebook groups specific to Super Bowl 50 can create conversation within the members. 2.Utilize user-generated content Let the fans on social media be the center of conversation instead of your business' advertising. Hold contests or create polls to incentivize user engagement while marketing your company. 3. Cater to the mobile-device During the 2015 Super Bowl, 80 percent of viewers also accessed social media platforms, also known as 'second-screeners.' Knowing this, advertising should be clear, concise, and to the point at which users are not focused in too long. Create images or video's that incorporate the Super Bowl with your company to engage people looking away from their television screens. In an article featured on CNBC, Matt Idema, a marketing executive at Facebook said, "Eighty percent of our revenue is mobile. The reach that mobile devices have, and the fact that Facebook and Instagram are two of the most important mobile platforms, means you can get a lot of reach and engagement on mobile even if you're not buying a Super Bowl ad." With that said, take advantage of the opportunity to gain more exposure for your brand via social media during the Superbowl. 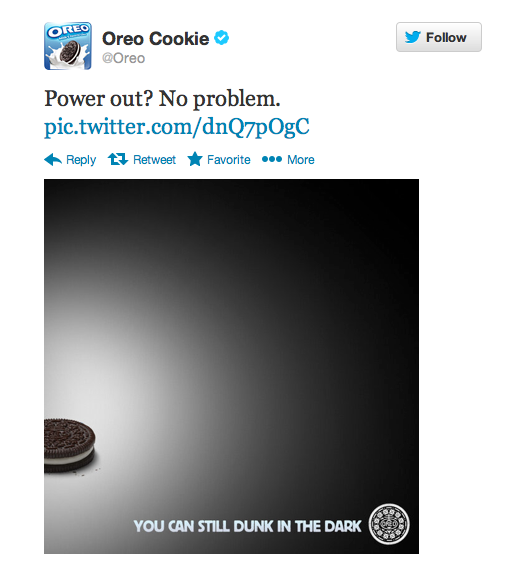 Oreo did a great job in 2013 by harnessing the power outage as an opportunity to engage with followers when the game was delayed.